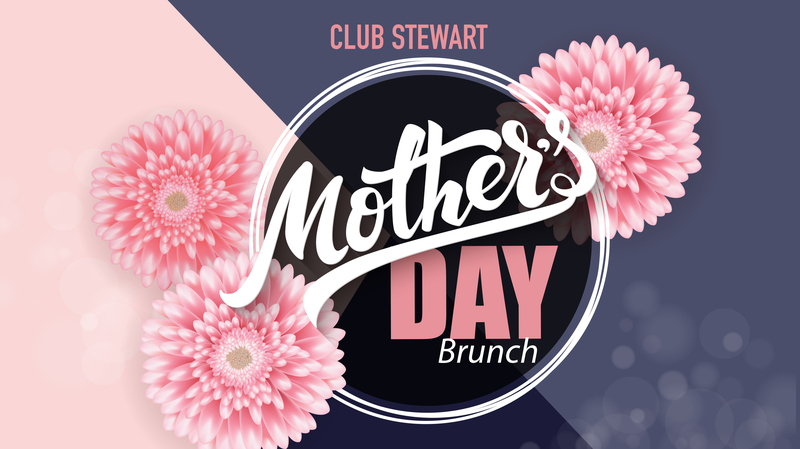 Date: May 12 2019, 10 a.m. - 2 p.m.
Join us for our annual Mother's Day Brunch at Club Stewart! Bring the whole family and celebrate 'mom' for everythign she does for the whole family. Enjoy our signature southern style buffet with a create your own omelet station and more! Our signature Omelet Bar and Carving Station featuring Prime Rib! Salad Bar: Greens, veggies, pasta salad, cranberry citrus relish, & dressing. Kids ages 2 and under get in for free! Each ticket is good for one 2hr brunch. Walk-ins are welcome, but will seated on a first come, first serve, space available basis.